Prominent owner and breeder Everett Dobson has been appointed a Keeneland Trustee and will succeed Lane’s End Farm owner Will Farish, who has served as a trustee since 2006. Farish will remain on the Keeneland Board of Directors. Dobson was named to Keeneland’s Board in September 2018. A native of Cheyenne, OK, Dobson races horses under his Cheyenne Stable banner and is also the owner of Candy Meadows Farm near Lexington, where his broodmare band numbers around 30. He serves on The Jockey Club’s Board of Stewards and is a Breeders’ Cup Director. He is Vice Chairman of the Board of Trustees for the Thoroughbred Owners and Breeders Association and Vice Chairman of the Executive Committee and Chairman of the American Graded Stakes Committee. 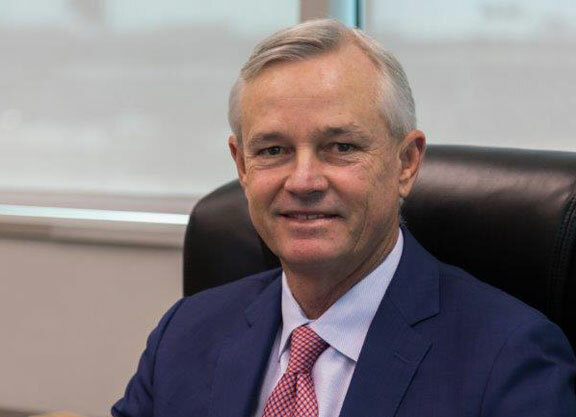 Dobson is the CEO of Dobson Technologies and subsidiaries, operating a 3000-mile fiber-optic network and a managed IT business serving customers in his home state and North Texas. He is also a minority owner of the National Basketball Association’s Oklahoma City Thunder franchise. Dobson joins Claiborne Farm Chairman Seth Hancock and William M. Lear, Jr., chair emeritus of Stoll Keenon Ogden, as a Keeneland Trustee. A native of Houston, TX, Farish has been a member of the Keeneland Board of Directors since 1985. At Lane’s End, he has stood the likes of A.P. Indy, Gulch, Kingmambo, Mineshaft and Smart Strike while breeding better than 300 stakes winners. Chairman of the Board of Churchill Downs from 1992-2001, Farish has also been a Steward and Vice Chairman of The Jockey Club and a Director and Chairman of the Executive Committee of the Breeders’ Cup. He also served the United States as Ambassador to the Court of St James from 2001 to 2004.